Madrid is a capital with a strong sense of style, which touches on many areas of the city’s life. 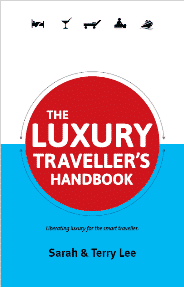 There’s Michelin-starred restaurants, grand dame hotels and plenty of experiences for luxury-loving travellers. But where are the best places to go in Madrid? It’s a tough call narrowing things down in a city of culture, Michelin-stars and luxury hotels. On a recent trip to the city however, I unearthed a number of places to go that I think you will love as much as I do. Madrid isn’t always the first European capital to spring to mind, but it has an energy and passion for life that will make you want to get to know it well. 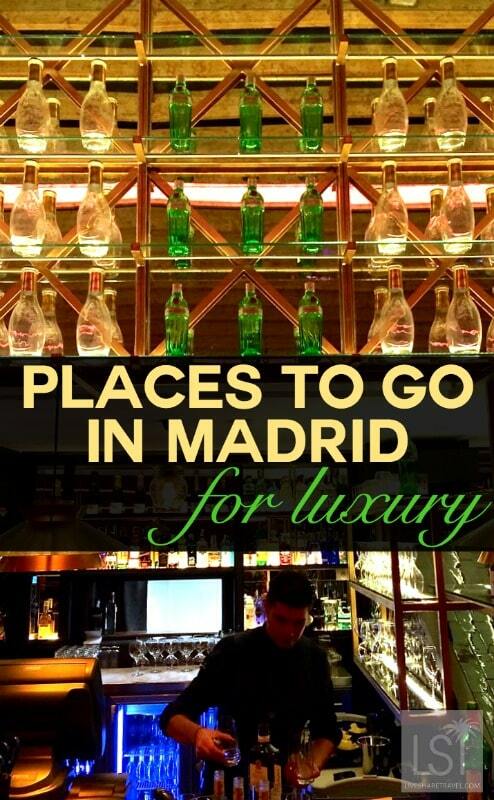 This guide highlights my favourite destinations to visit in Madrid for luxury travellers. 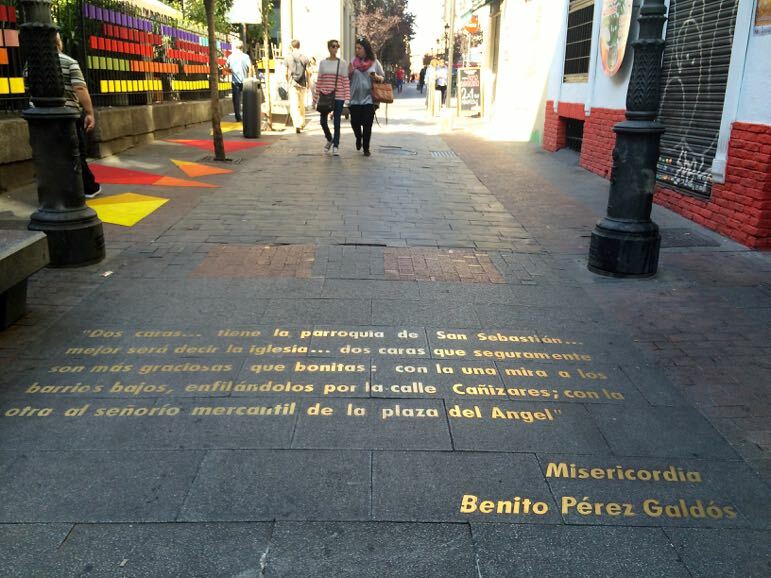 There’s also a video rounding up some of the most popular places to visit in Madrid. 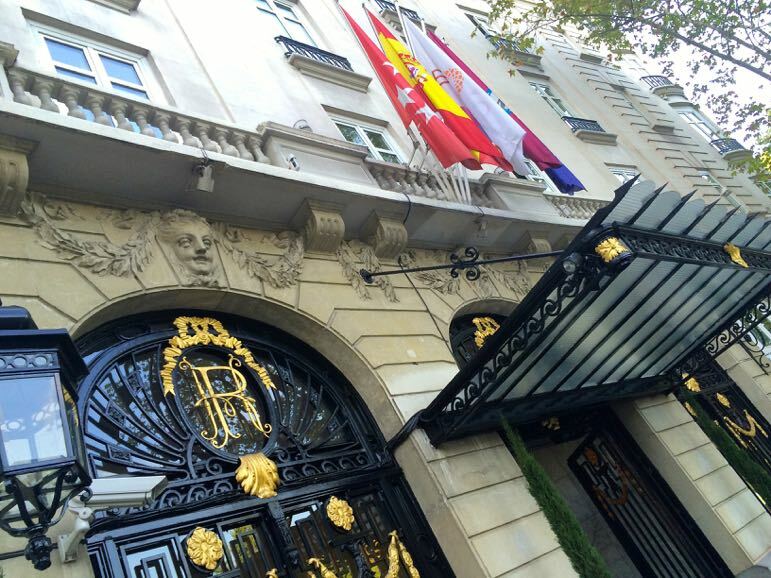 Finally head to the bottom of this story to find some of Madrid’s finest hotels. 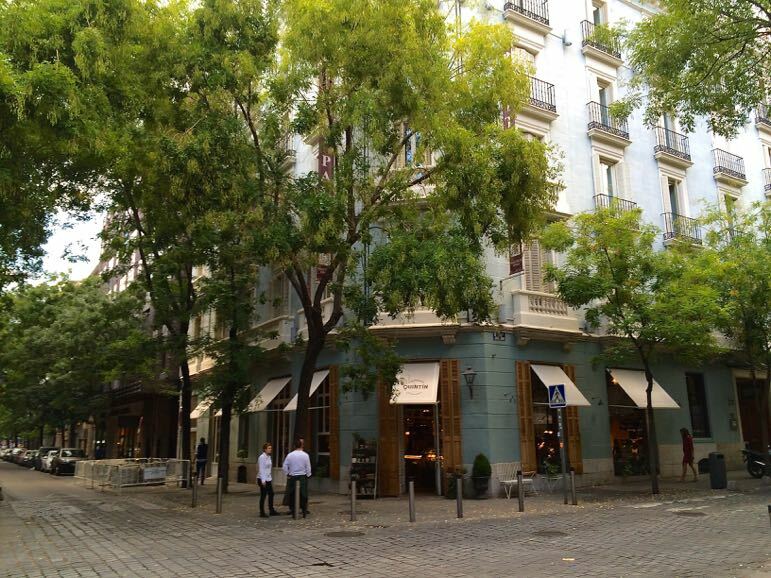 Luxury and culture permeates the tree-lined avenue of Paseo del Prado with regularity. Here you’ll find the Museo del Prado, housing works by masters such as Velázquez, Goya, Raphael, Rubens, and Bosch. Across the street there’s Museo Thyssen-Bornemisza occupying a Neo-Classical mansion. Critics rank Museo Thyssen-Bornemisza as one of the world’s most important private art collections. It illustrates the history of western art from Flemish and Italian painters, through to 20th century Pop Art. Nearby is Plaza de Neptuno, which Spanish King Carlos III decided was a perfect place to start making the city more cultured. In the 18th century he planted gardens between here and in Plaza de Cibeles, anointing the area with its cultural and luxury status. 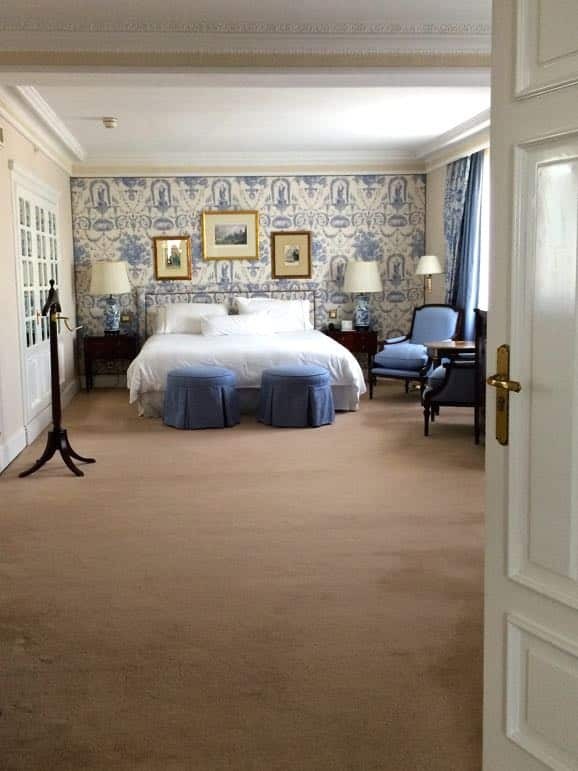 Just feet away there’s the luxury of the Hotel Ritz and the Westin Palace, both of which are famed not just as the most sophisticated addresses to lay your head in Madrid, but for having a vivid tapestry of more than 100 years of history. 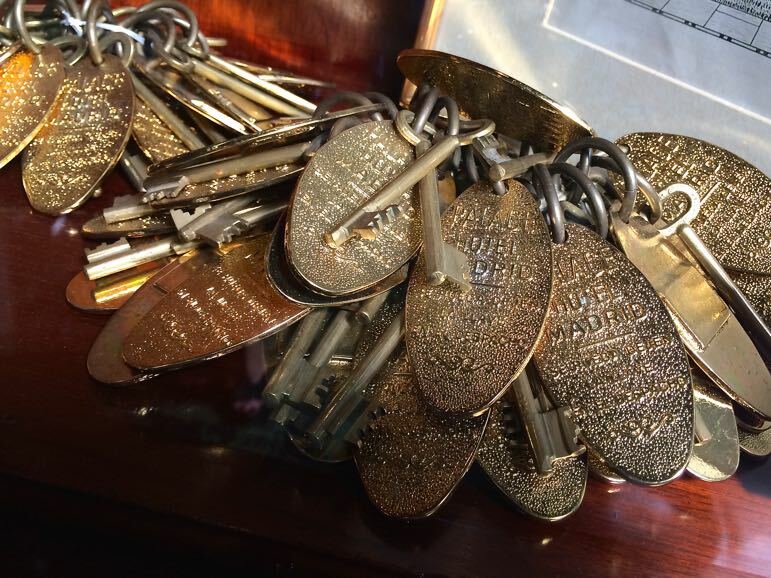 The Westin Palace even has its own small museum, charting the hotel’s past with photos, work records and old keys to the rooms. 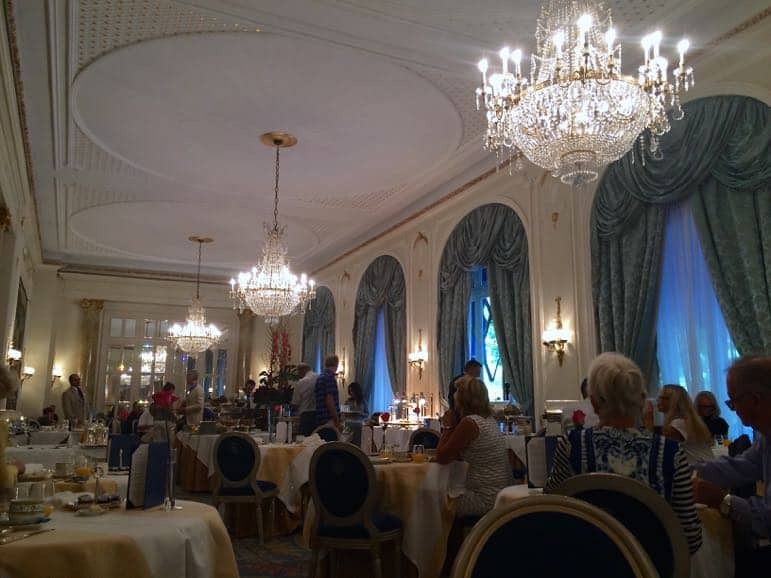 The hotel also has a weekly Opera Brunch – an extravaganza of great food and performances that feed your soul. 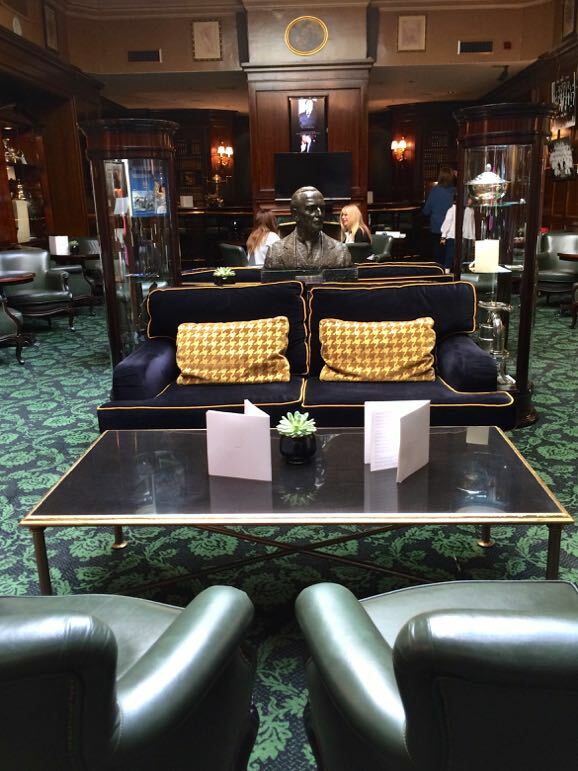 Both are also great for celebrity spotting – actor Alec Baldwin was staying at the Ritz during our visit, while Madonna and classic Hollywood starlet Rita Hayworth have stayed at the Westin Palace. Our foray into Madrid’s culture would not be complete without mentioning Centro de Arte Reina Sofía National Museum, close to Madrid’s main station, Atocha, in Calle Santa Isabel. Here the highlights are found in modern art – Picasso’s Guernica, and Woman in Blue, plus surreal works by Miró and Dali. 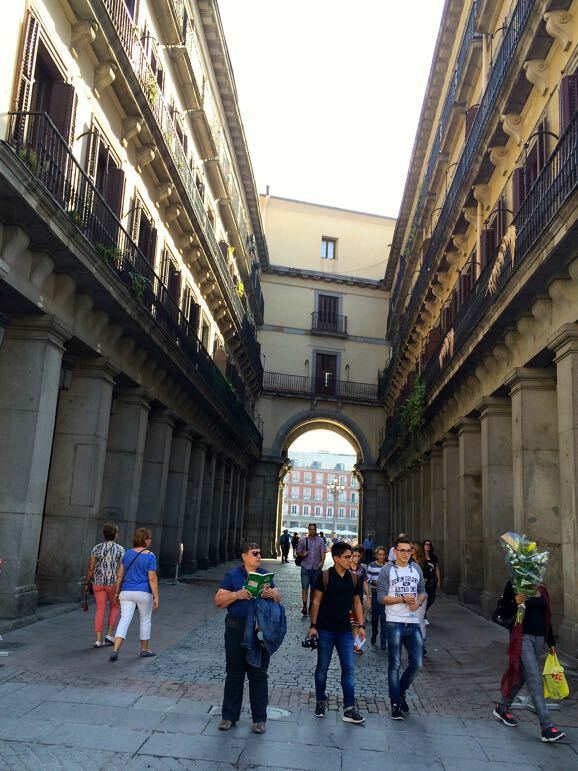 More cultured things to do in Madrid include opera at the Teatro Real and the city’s literary walking tour. 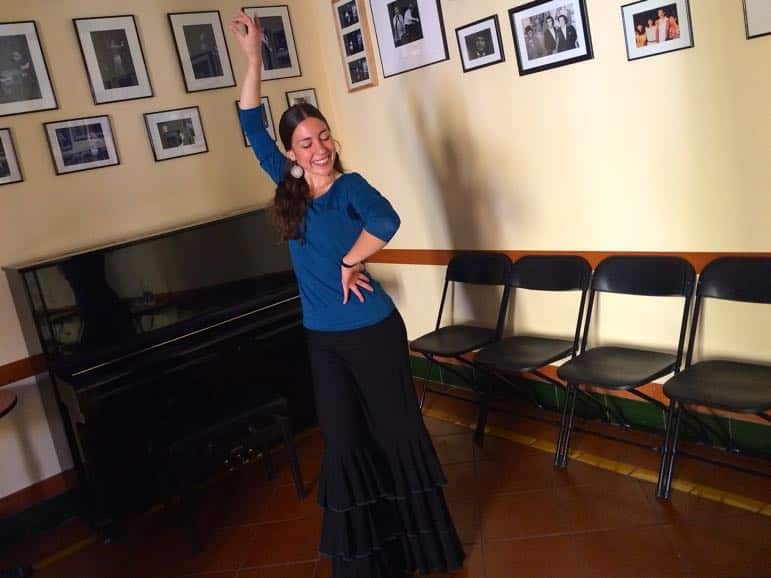 You can also visit Casa Patas and learn the passionate dance of Spain, flamenco, with classes there. 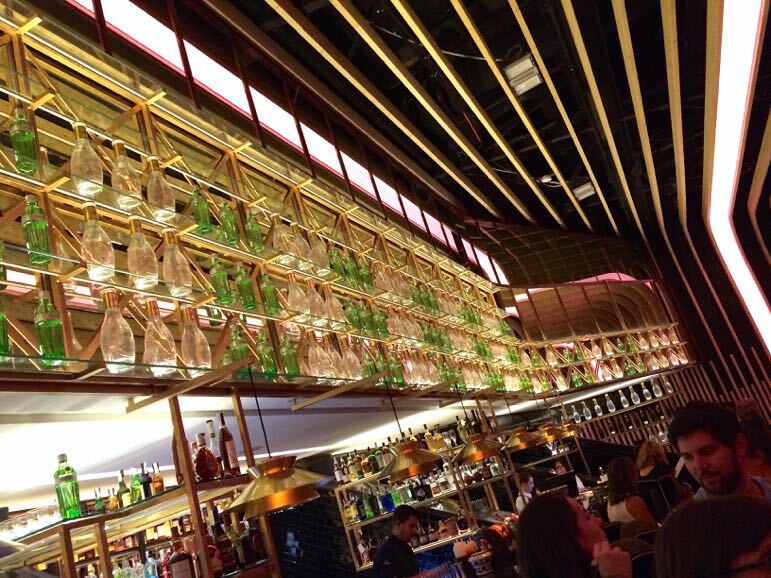 Bring an empty case – Madrid has plenty of eye candy for shoppers. Gran Via covers off many of the chain store options with Zara, Massimo Dutti, Mango and other Spanish favourites. 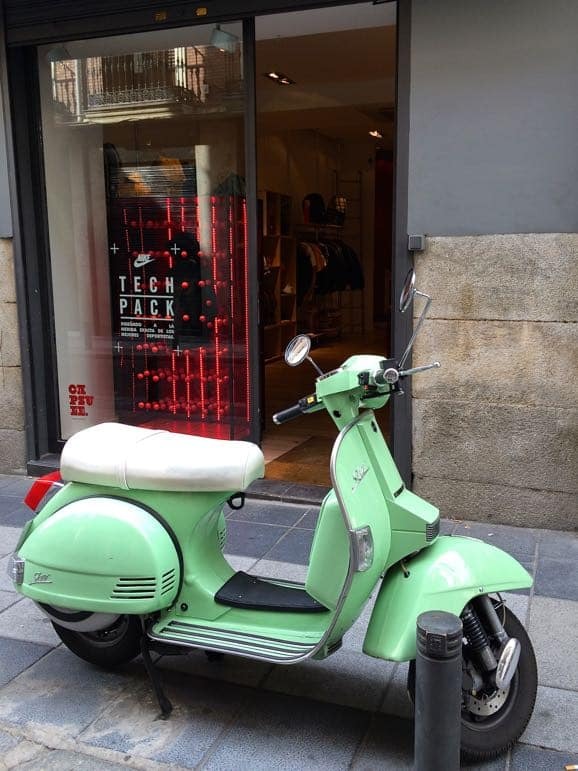 But for unique pieces head to the Salamanca district of the city – the area’s parallel streets are filled with boutiques and are home to some of Spain’s top designers and exciting pop-up stores. 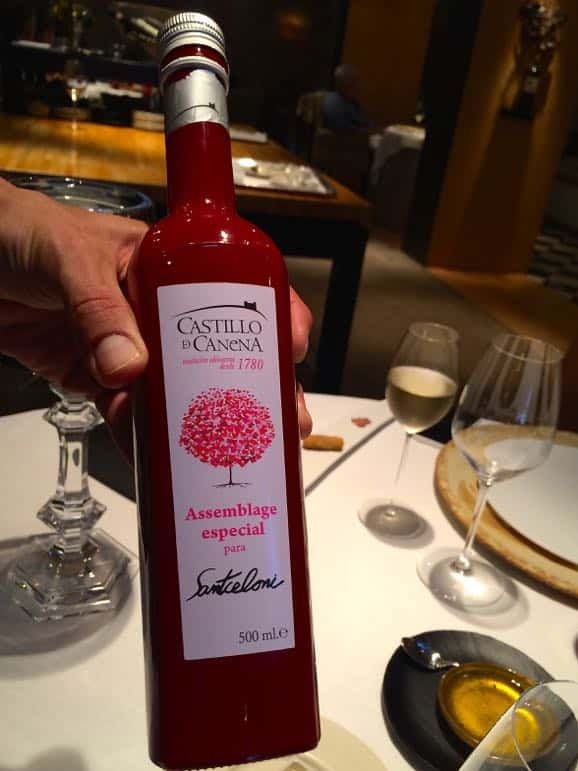 Read more about shopping in Madrid. The Retiro were originally the gardens of a royal palace, but is now Madrid’s main park and is a popular place with Madrileños – Madrid locals – on a Sunday morning. Hire a rowing boat on the lake, Estanque del Retiro, or one of its cafés and watch the world go by. The park’s Rose Garden, the Rosaleda is also worthy of a visit, not just for the flowers, but to see the city’s most unusual statue, El Angel Caído, which is dedicated to Satan. Madrid is full of squares where you can pause for a break, but one of my favourites is Plaza Mayor, which dates back to the 17th century. Buildings in the square are an unusual find in a Spanish city – red-brick and with slate roofs and turrets, as a result of the style brought to the city by Dutch settlers (who quickly discovered slate roofs were not the best in the heat of a Spanish summer). 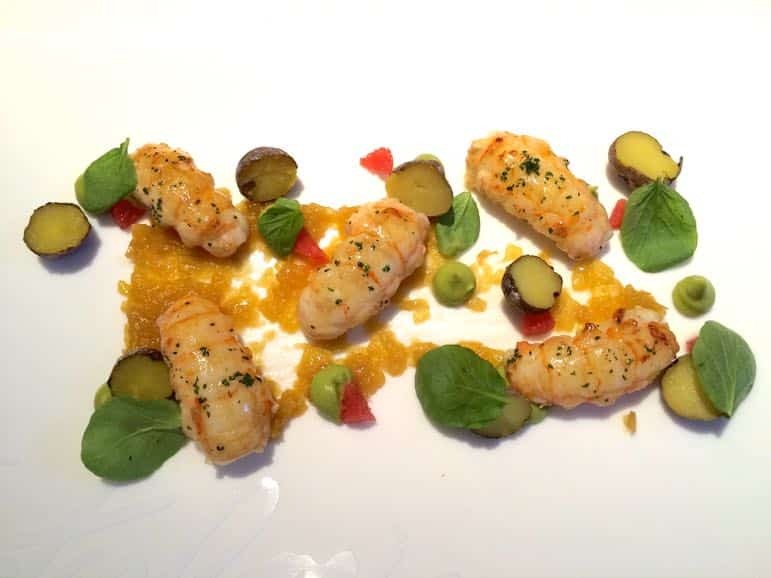 Madrid’s food scene is an exciting one with everything from Michelin-starred restaurants blending traditional ingredients with creative flair. 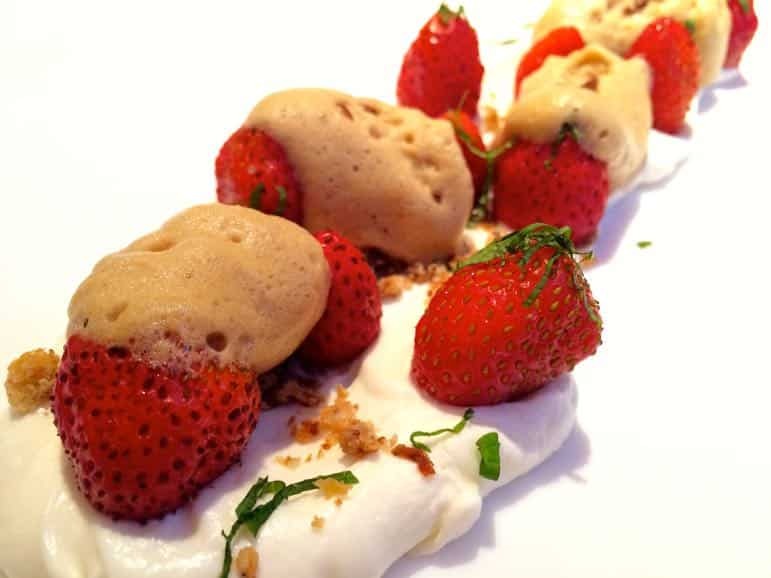 David Muñoz’s DiverXO is the prime example of this, serving up a “dream world” of flavour, from €145 per person, at the NH Eurobuilding hotel. 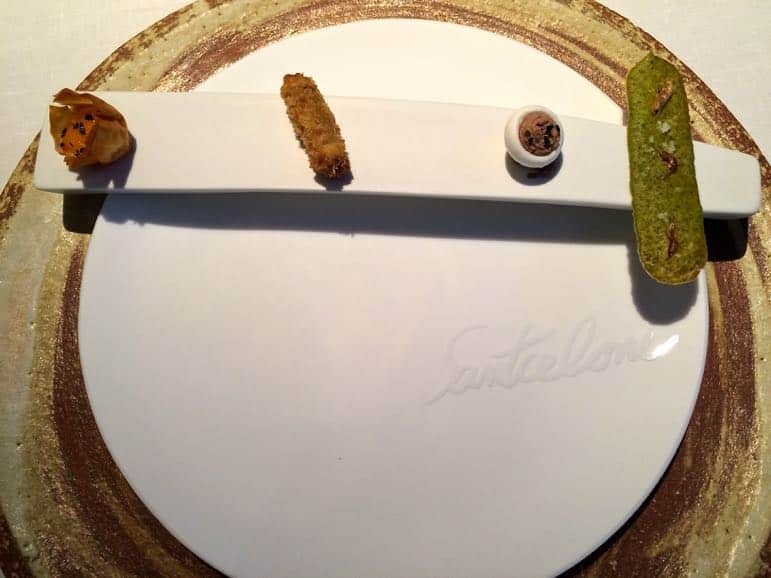 I loved the fresh flavours at Santceloni, where head chef Oscar Velasco served grilled crayfish with Canarian potatoes, saffron, grapefruit and watercress, succulent suckling pig loin with a thyme aroma, and strawberries with fresh cheese, amaretto, coffee and mint. It was the best meal I had in the city. 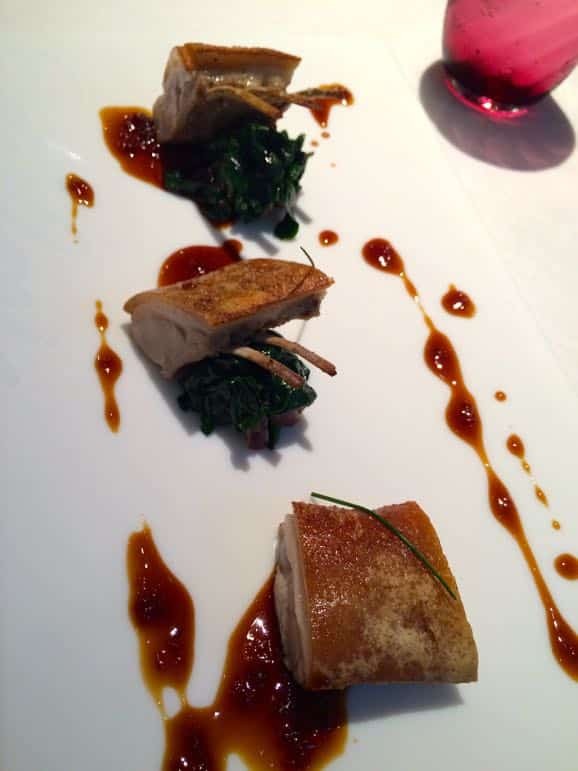 Madrid isn’t all about fine dining. In fact street food and market-style meals are taking the city by storm. Pop into San Miguel Market and you’ll find people grabbing a seat amid its hustle and bustle to sample all manner of deliciousness – from fuet sausages and jamon Iberico to fine cheeses, tapas and wine. 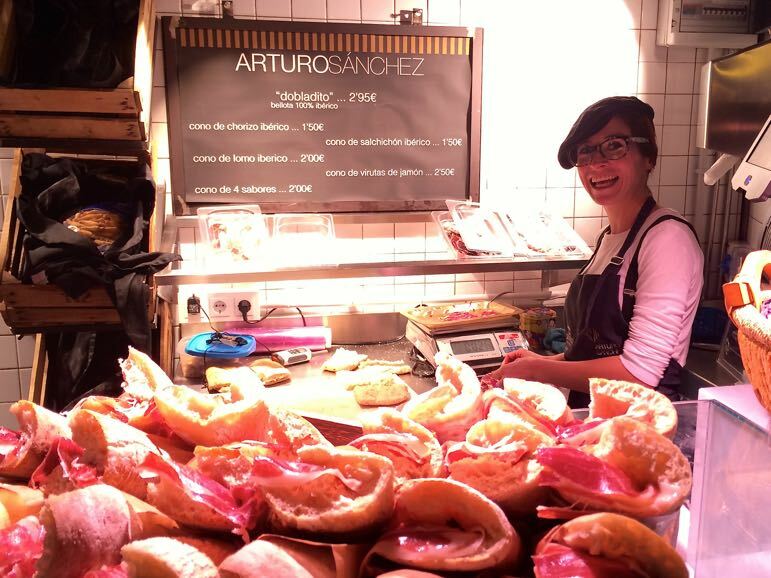 Another popular market is San Ildefonso – an evening hangout in Madrid’s trendy Fuencarral area. Here, some of the country’s finest producers deliver a host of dishes for you to buy and eat right there with friends. It’s a busy market style environment, and perhaps too busy on weekends, but the food is good quality, local and fresh. Similarly to San Ildefonso, but covering multiple levels is Platea, a fully covered market-style venue with plenty of options for every palate, cocktail bars, and entertainment coming from bands on its large stage. It’s a different experience and worth trying to get to grips with the market dining trend. 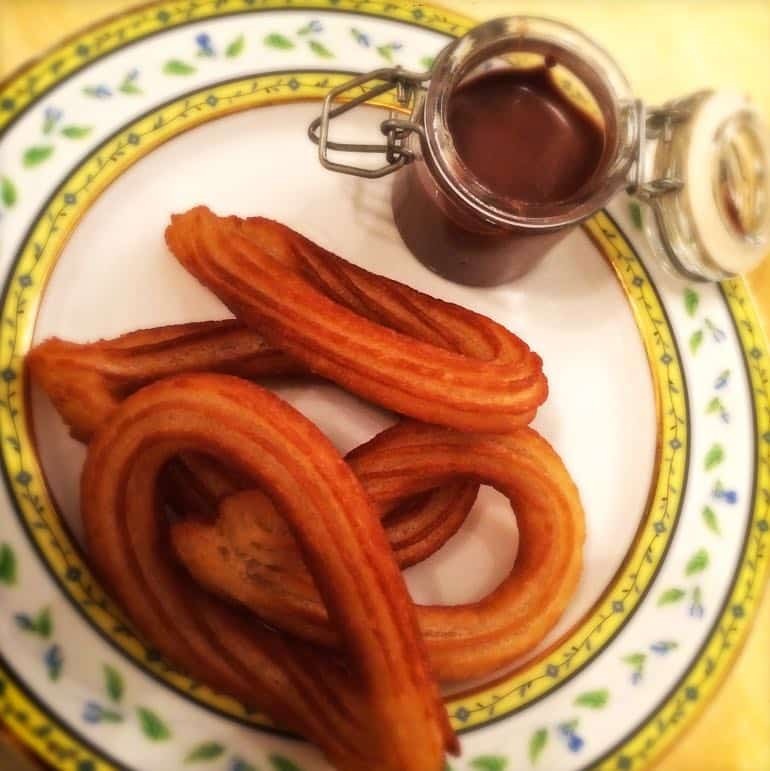 Finally don’t miss Chocolateria San Ginés, a Madrid institution which offers up Spain’s most famous churros (crispy doughnuts you dip into rich dark chocolate). 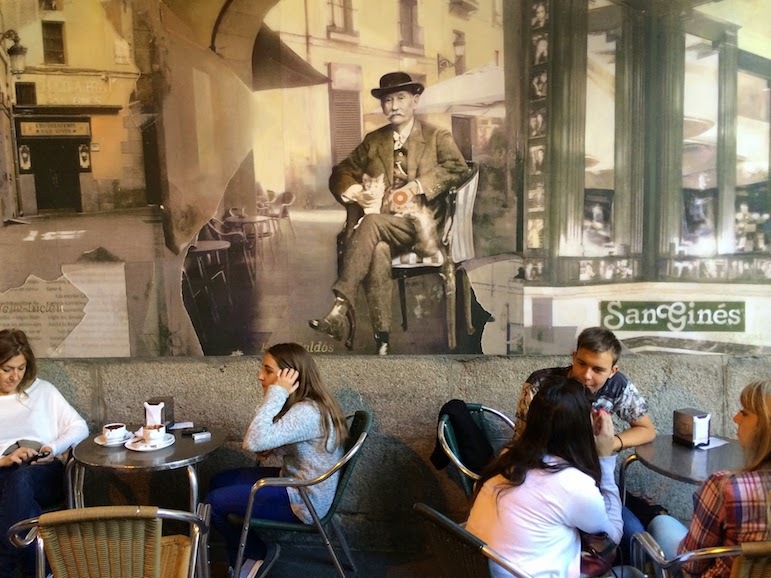 San Ginés is actually most popular after dark – it’s the last stop Madrileños make on their way home after a night at the theatre or out on the tiles. The Westin Palace Madrid: we love the style, history and character of this grand dame – old world charm mixing with modern design to create a sumptuous hotel. 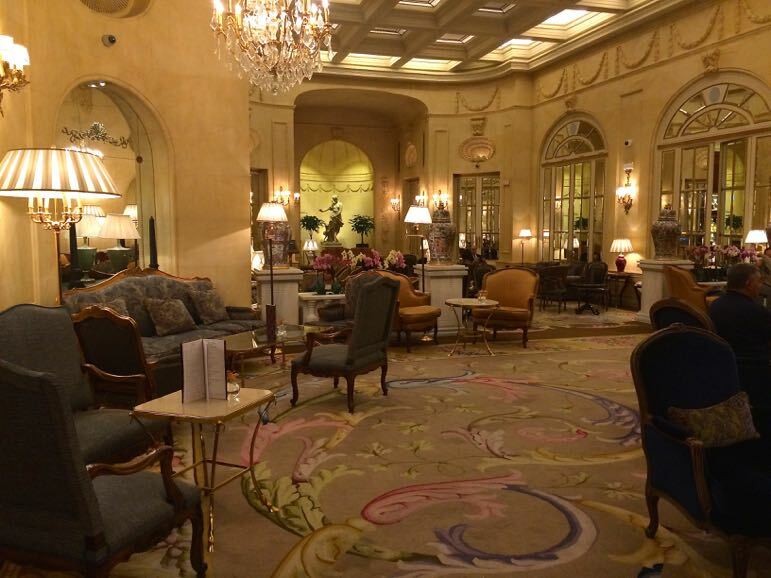 Hotel Ritz by Belmond: it’s all about history and glamour here – why wouldn’t you want to put on the Ritz? Hesperia Hotel: excellent dining options including Michelin-starred, Santceloni, mentioned above, great location and we love its open-air sky-gym. 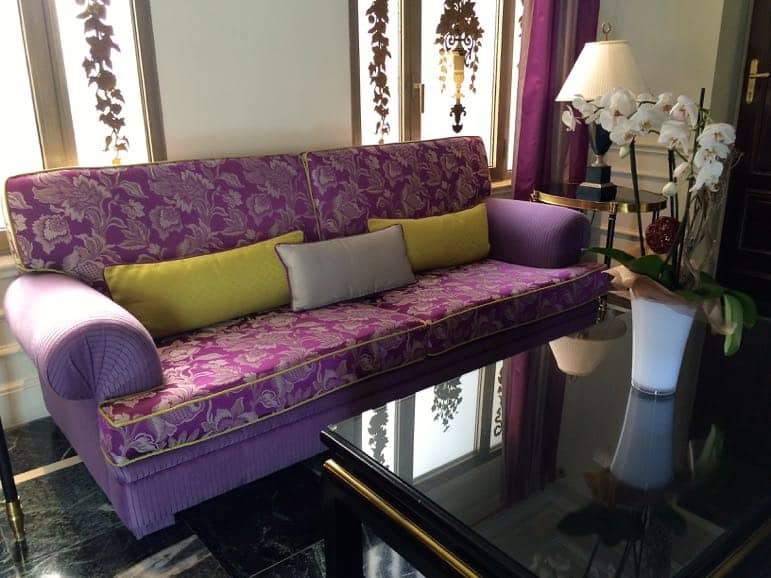 Book the presidential suite for your own terrace with Jacuzzi and views over the city. NH Eurobuilding: this hotel is revelling in its recent facelift. Has excellent restaurants like DOMO and DiverXO right next door, and for football fans, there’s views of Real Madrid’s Bernabau stadium. 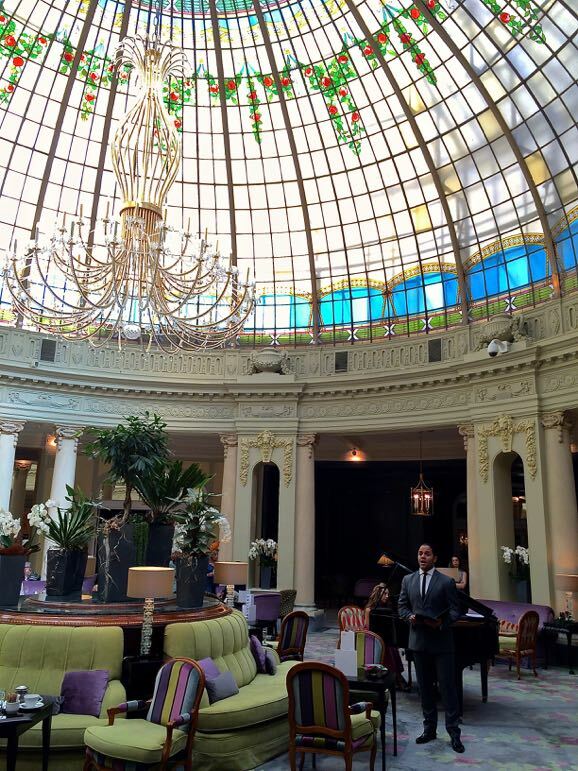 ME Madrid: cool rooms and a great rooftop bar with views of the city. Only You Hotel & Lounge: boutique lounging comes home at this trendy little hotel, complete with its own lounge bar. We’ve a whole series of Places to Go around the world. 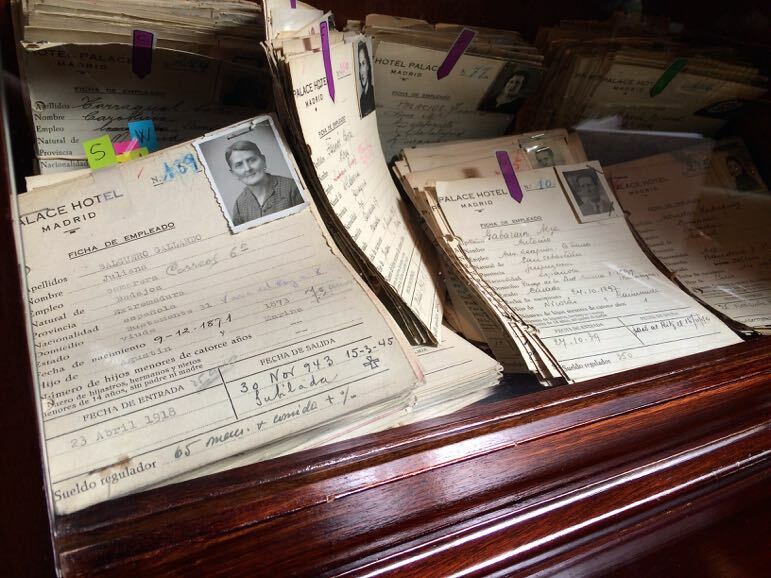 This story was researched while on a trip to Madrid with Spanish Tourist Office. All views and recommendations are my own.